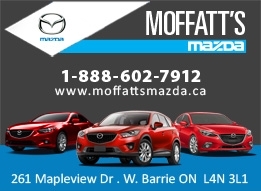 Moffatt's Northwood Mazda is really the best of all worlds for a car dealership. 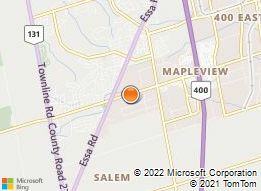 It is a brand new state of the art facility with a solid 3-generation history in auto retail. Mazda is a rising star these days as the product is experiencing steady growth in market share. Moffatt's also has a huge used vehicle inventory, with a broad variety of makes and models from the most economical cars, 2WD & 4WD SUVs, family-moving vans, and all types of work-and-play trucks. Whether you need a sporty new Mazda or a late model used pickup, see the friendly staff at Moffatt's Northwood Mazda for your best deal.